Location! Location! Location! 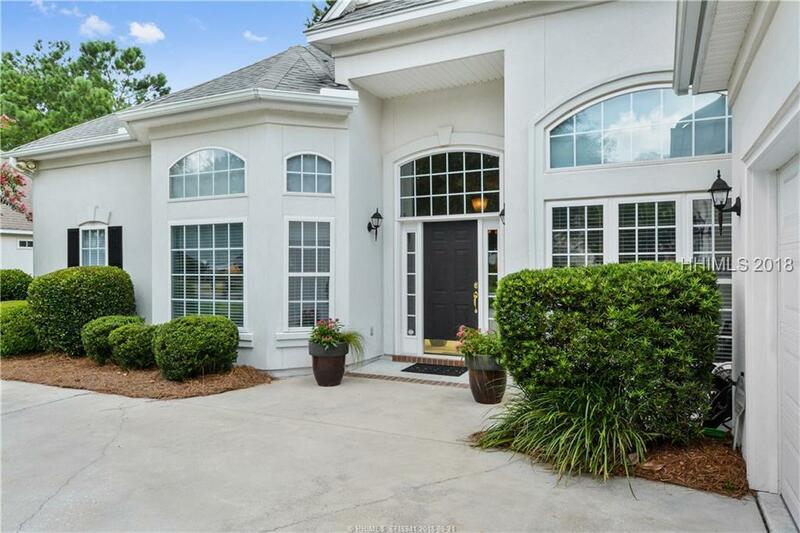 This gracious Southport model home has panoramic views of the Arnold Palmer Signature golf course that's nestled along the Colleton River marshes. Lots of natural light! 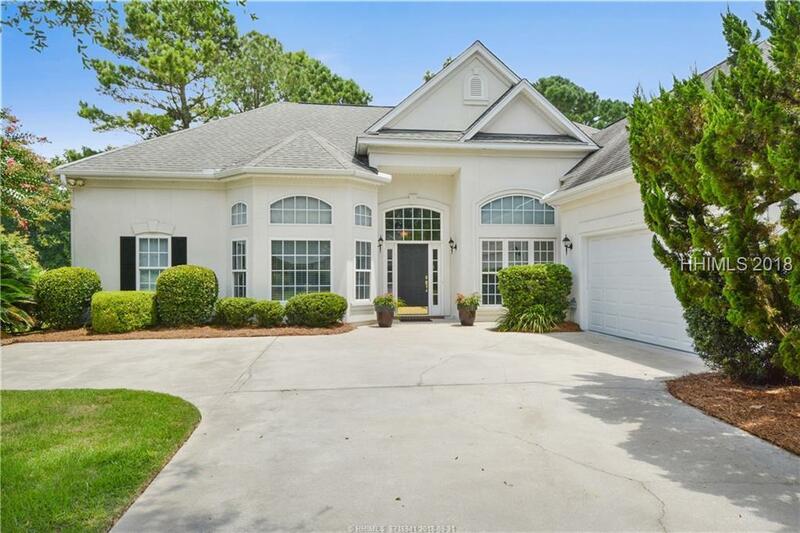 Transom windows, dramatic 12' ceilings, hardwood floors in study, DR, LR, FR, Master Bdrm & newer carpet in guest bdrms. En suite baths in all bedrooms plus a powder room. 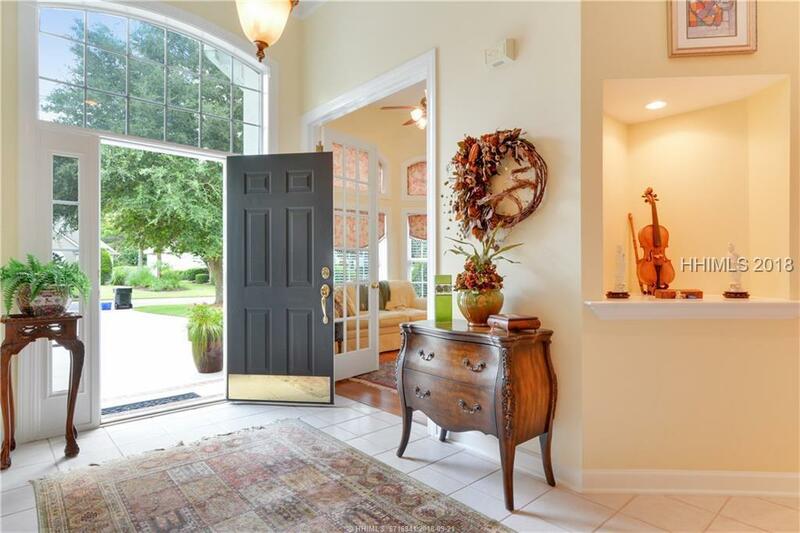 Big Kitchen w/tile floors, granite counters, & bay window breakfast area. Glass French doors to study. 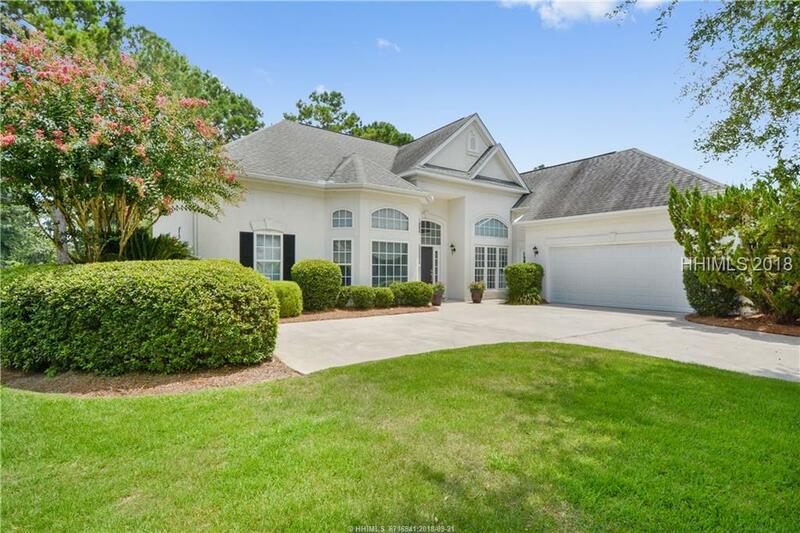 Enjoy a large screened lanai with access from the living room & family room. Spacious brick patio. Garage has epoxy floor finish & pull-down stairs to attic. Newer HVAC & HWH.